Allure Medi-Spa is committed to providing the most advanced and comprehensive non-surgical cosmetic treatments available. Led by board-certified plastic surgeons Dr. Paul Kim and Dr. Gary Wingate, our experienced team of skilled aestheticians, laser technicians and a highly-qualified nurse practitioner is uniquely equipped to correct a wide range of skin conditions. Whether you want to correct discoloration, improve wrinkled and sagging skin or remove unwanted hair or cellulite, we can help. To learn more about how Allure Medi-Spa can help you, please call 610-648-0468 today to schedule a free consultation. We welcome men and women from Paoli and the Main Line, Chester County and nearby areas in Pennsylvania. At Allure Medi-Spa, we strive to design individualized treatment plans to address your unique needs and help you look and feel your best. When treating skin conditions, we design comprehensive, customized treatment plans that often include advanced procedures combined with medical-grade skin care products to enhance and maintain your results. During your initial consultation, we will work to understand your personal goals, carefully explain all of your treatment options, and recommend a tailored package that best meets your objectives and budget. Chemical peel: By removing damaged outer layers of skin, chemical peels can remove blemishes, reduce scarring and smooth the texture of your skin. Fraxel laser skin resurfacing: Fraxel laser treatment utilizes your body’s natural healing process to provide smoother, fresher looking skin, improved texture and a more consistent skin tone. Microdermabrasion: Using fine diamond crystals to remove the outermost layer of skin, microdermabrasion treatment improves the appearance of acne scars, evens out skin tone and reveals smoother, healthier-looking skin. Microneedling: By creating microscopic pinpoint wounds in the skin, the microneedling process triggers your body’s natural healing mechanisms, creating new collagen and elastin. Hand peel: As with other chemical peels, a hand peel removes the upper layer of affected skin to reveal a healthier layer of skin beneath. IPL treatment: Intense pulsed light (IPL) can be used on the hands to address sun damage and discoloration, such as sun spots. The procedure provides a more even skin tone to the back of the hands. IPL treatment: This light-based treatment focuses on the red and brown pigment of your skin and reduces the appearance of discolored skin patches. Chemical peel: Chemical peels are designed to gently remove the damaged layer of outer skin to reveal a renewed, refreshed and rejuvenated appearance. Microdermabrasion: A highly-controlled spray of fine crystals is used to comfortably exfoliate your skin and erase imperfections, creating a vibrant, more youthful appearance. Fraxel laser skin resurfacing: Depending on the severity of your condition and the recommendation of our experienced laser technicians, we offer both ablative and non-ablative Fraxel laser skin resurfacing to treat a variety of skin conditions. Endermologie: Approved by the FDA for the treatment of cellulite, Endermologie is a painless and non-invasive mechanical massage that slims fat cells, smoothes cellulite and firms the skin. Exillis treatment: Exillis is an FDA-approved device that uses radio frequency (RF) energy to tighten tissue and reduce stubborn fatty deposits anywhere on the face or body. IPL treatment: IPL treatment generally affects the lower layers of the skin, allowing treatment of deeper structures like spider veins without damaging the surface of your skin. Veinwave treatment: Ideal for small spider veins, Veinwave therapy is effective on the nose, face, legs and other areas. 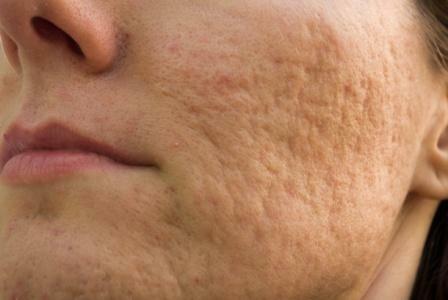 Exillis treatment: Using radio frequency (RF), Exillis therapy has been proven to tighten and gently lift sagging skin. Microneedling: The tiny wounds created by the microneedling process kick-start your skin’s intrinsic healing ability, resulting in healthier, smoother, tighter skin. 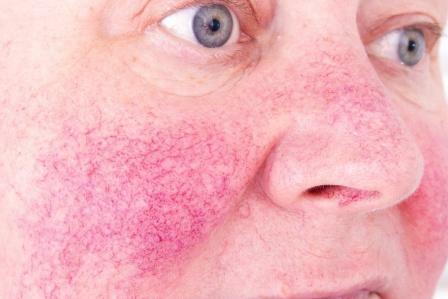 IPL treatment: Using controlled light in specific wavelengths, IPL treatment alleviates the redness, bumps and uneven skin tone caused by rosacea. Glycolic facial: Glycolic facials offer anti-inflammatory and skin clearing affects to effectively smooth and refine the texture and color of skin that is affected by rosacea. Fraxel laser treatment: In addition to acne scars, fraxel laser skin resurfacing is effective at treating a wide array of scar types, including surgical scars, trauma scars and stretch marks. Microneedling: Successfully used on all skin types and colors, microneedling creates microscopic pinpoint wounds in the skin, triggering your body’s own healing mechanisms to create new elastin and collagen. Microneedling: Not only does microneedling work effectively for the treatment of surgical scars and sagging skin, the process can significantly diminish the appearance of stretch marks. Fraxel laser treatment: Laser therapy stimulates the growth of collagen and elastin in your skin, helping to dramatically improve the appearance of your stretch marks. Traditional methods of hair removal can be messy, time consuming and uncomfortable. At Allure Medi-Spa, we offer two types of advanced laser hair removal options to permanently eliminate unwanted, unsightly hair in a series of safe and comfortable procedures. Vectus laser treatment: Effective on skin of any color, the Vectus laser utilizes an FDA-cleared melanin reader to help safely tailor every treatment to your skin type, ethnicity, lifestyle and level of sun exposure. Waxing: Performed by our experienced specialists, waxing can help you achieve the smooth, beautiful look you desire. At Allure Medi-Spa, our mission is to provide a memorable, signature experience for every patient that walks through our door. Our caring, qualified and experienced team of specialists utilizes state-of-the-art technology and only the most effective procedures and techniques. Our staff is friendly, knowledgeable and down-to-earth. We love what we do and take pride in being able to help your aesthetic dreams come true. When you choose Allure Medi-Spa, you will never be treated like a number. You will be treated like family and the unique individual you are. Your customized treatment plan will reflect our passion for personalized patient care. To schedule your free consultation, please contact Allure Medi-Spa today online or at 610-648-0468. We proudly serve patients from Paoli and the Main Line, Chester County and nearby areas in Pennsylvania. Disclaimer: The information throughout this medical spa website is not intended to be taken as medical advice. The information provided by Allure Medi-Spa is intended to provide general information regarding non-surgical skin treatments and advanced body treatments including acne treatment, body contouring, dermal fillers & injectables, and facial treatments for residents of Paoli, neighborhoods near the Main Line and the Western Suburbs in Pennsylvania. If you are interested in finding out more, please contact us for a personal consultation. This website is not intended for viewing or usage by European Union citizens. Read our ADA compliance disclosure. Copyright © Website Designed and Developed by Page 1 Solutions, LLC.